On Wednesday evening, as the clock ticked towards midnight, the report stage of the Regulation of Termination of Pregnancy Bill completed its journey through the Dáil. It was an historic occasion for pro-choice politicians who campaigned for the introduction of abortion services. For opponents the fight continues. Attention now turns to the Seanad where the legislation was swiftly introduced by the Minister for Health on Thursday. Simon Harris outlined the contents of the bill. He said he would be legislating separately for safety or exclusion zones, which would prevent protests around locations where women will receive abortion services. Following a debate in the Seanad, the first stage passed after a majority voted to move the bill to committee stage when amendments will be discussed. Anti-abortion Senators are in a minority in the Upper House. Observers would be forgiven for assuming that passage of the bill will be relatively smooth. But delays could emerge from pro-choice senators. Take for example the 72-hour wait period between a woman’s first appointment and a termination. Many in favour of abortion services view that provision as unnecessary, so when the legislation was before the Dáil, a group of TDs sought for the three-day wait period to be scrapped. When Mr Harris argued for the need to stick as closely as possible to the heads of the bill published prior to the referendum; the TDs in question chose not to push for a vote, to avoid delaying the passage of the bill. On the day it was introduced in the Seanad, some members cautioned their colleagues against rushing scrutiny of the abortion legislation. 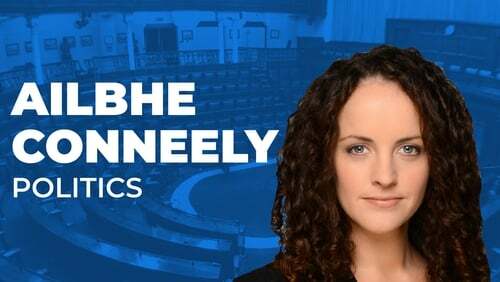 However, deputy leader of the Seanad and former Chairperson of the Oireachtas Eighth Amendment Committee Catherine Noone said Senators will have an extra sitting day next week and the work is likely to be done by next Thursday. That prediction may be optimistic. If amendments such as the 72-hour wait period, are pressed by pro-choice independent senators, it will put the Labour Party and Sinn Féin in an awkward position. Neither party want the legislation to be delayed but neither can they vote against scrapping the 72-hour wait period, given that both are in favour of its removal. If pro-choice amendments centred on issues such as the wait time or criminality are passed, it means the legislation will have to return to the Dáil. The question for many is whether the speed at which the legislation proceeds through the Seanad should outweigh potential amendments. Work is now under way to see if Senators will agree to withdraw their amendments before moving to a vote. Another possibility is that Fine Gael and Fianna Fáil members may vote down amendments although that seems unlikely. Fine Gael and Fianna Fáil Senators are divided on the issue within their own parties. Most are expected to abstain from voting, even on anti-abortion amendments. Independent Senator Ronán Mullen has acknowledged it is unlikely amendments will be accepted in the Seanad, given what he described as the "brutality of the process". One thing is certain, the process is not going to be as straightforward as many may have assumed.